Austin, the monumental last work by renowned American artist Ellsworth Kelly (1923—2015), is a freestanding stone building with luminous colored glass windows that is now part of the Blanton’s permanent collection. 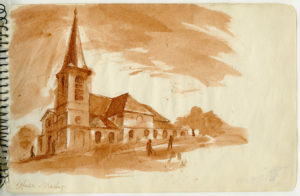 The structure has its roots in the artist’s deep appreciation of historical European art and architecture, and this exhibition explores how Austin’s conceptual origins began in the seminal period Kelly spent in France (1948—54), when he immersed himself in the country’s artistic traditions and monuments. Rarely seen early paintings and drawings fuse Judeo-Christian themes with the artist’s own modern aesthetic, making clear Austin’s decades-long germination. 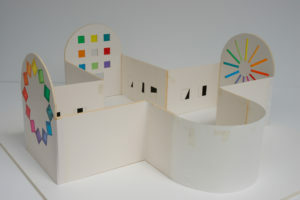 This section will also include the first models and designs for the building’s initial conception in the mid-1980s. 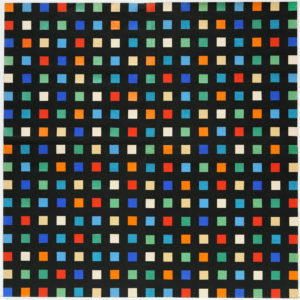 Four other expansive sections will elucidate Kelly’s rich explorations of Austin’s four main motifs: Spectrum, Black and White, Color Grid, and Totem. These formal concepts were deeply meaningful to him throughout his career, and he created them in drawing, painting, printmaking, and sculpture. This exhibition is organized by Carter Foster, Deputy Director for Curatorial Affairs. Ellsworth Kelly, “Eglise, Marly,” 1944, ink on paper, 8 1/4 x 5 1/4 inches (21 x 13.3 cm). ⓒEllsworth Kelly Foundation. Photo courtesy Ellsworth Kelly Studio. 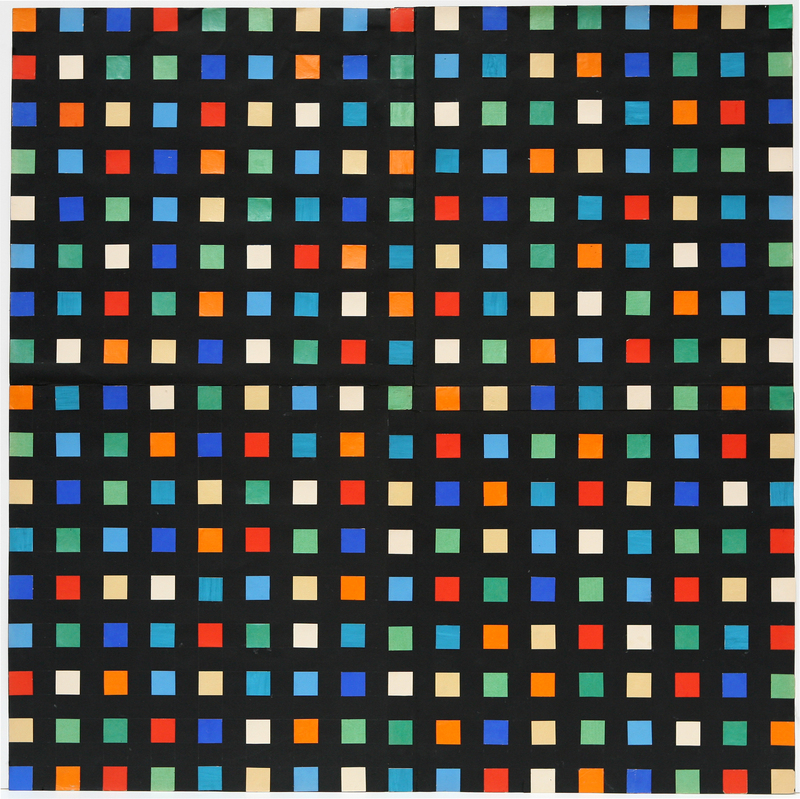 Gift of Ellsworth Kelly Foundation, 2018. 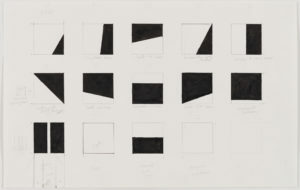 Form into Spirit: Ellsworth Kelly’s Austin is organized by the Blanton Museum of Art. Major funding for the exhibition is provided by the Ford Foundation. Generous funding also is provided by Jeanne and Michael Klein and the Scurlock Foundation Exhibition Endowment, with additional gifts from Suzanne Deal Booth, Heather James Fine Art, Jenny and Trey Laird, the Alice Kleberg Reynolds Foundation, Lora Reynolds and Quincy Lee, and donors who contributed to the 2017 Annual Fund.